With his music he has undoubtedly written a chapter of German film history. Since the fifties he has been composing music that sometimes calms, sometimes creates tension, sometimes makes a beautiful landscape even more beautiful (as with Karl May). It is only thanks to a lucky coincidence that Martin Böttcher, who actually wanted to become a test pilot, came to the music. Martin Böttcher, born on 17 June 1927 in Berlin, acquired his first musical knowledge at an early age through piano lessons. Even though he was born with musical talent - one of his great-grandfathers was Hofkapellmeister in Weimar - his first passion is flying, his goal is to become a pilot. At the age of 14 he obtained his first gliding licence A-, B-, C- and Luftfahrerscheine Class 1 and 2. Not quite 17 years old, he is trained in military service by the German Air Force for the'comet hunter'. However, there is no longer an operation: "Since flying had to be stopped prematurely due to a lack of fuel, I never flew an operation." During his captivity as a prisoner of war Martin Böttcher succeeds in organizing a guitar, which in itself is an achievement under the given circumstances. He teaches himself to play the guitar using the do-it-yourself method. "But I came to music because I couldn't fly after the war and then had to indulge in my hobby - that was the music. "I was actually a pilot and I wanted to be a test pilot after the war." Böttcher starts his musical career in the dance and entertainment orchestra of the former Nordwestdeutscher Rundfunk, which is even mentioned with respect in big-band England. In the orchestra newly formed by conductor Willi Steiner, one of his colleagues also becomes bassist Hans'James' Last. "I joined NWDR very early on - at the age of 18 as the youngest musician - and started there as a guitarist. I also studied with General Music Director Richard Richter and Kurt Wege. That was my teacher in the field of entertainment or jazz." The preferred genre of music is jazz. "I was all on that track, I made it to number two in the German Jazz Poll as a guitarist." 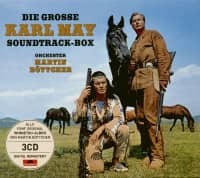 In 1950 the'soundbastler' Martin Böttcher recorded the first guitar trick recordings in Germany, whereby the guitar replaced an entire orchestra. He also writes arrangements, for example for the whistling Ilse Werner the Leroy Anderson piece Sleigh Ride. "I arranged the recording under insane circumstances back then. There were two titles, and I didn't get to bed for 56 hours. There was only one old shellac record by Leroy Anderson, on which you could hardly hear anything except the melody and some secondary voices. It was a hard learning object." Two years later, he switched from music stand to sketch paper, before making his first contacts with the film industry. "I had a friend who was a dramaturg at the UFA; one day he recommended me to a producer who actually worked for the newsreel but was about to make a documentary for the Federal Ministry of Finance." 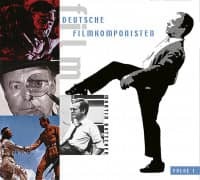 The first film music for the military satire'Der Hauptmann und sein Held' was written in 1955: "I was very impressed by the film because we had a good book and good actors. The critics were full of praise, and the film helped me a lot." Böttcher's second film music then became a milestone in German film. 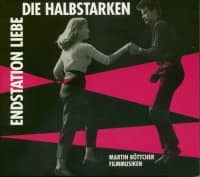 Georg Tressler's'Die Halbstarken' (1956) become a huge success. Martin Böttcher's formation'Mister Martin's Band' includes top German jazz musicians such as Horst Fischer (tp), Fatty George (cl), Werner Baumgart (as), Werner Twardy (p), Cornelis op den Zieken (p), Rolf Ahrens (dr), Bill Grah (vib) or Ernst Mosch (tb) and Hans Last (b). "That was very appealing in that the producer actually wanted to buy titles in America, which he then wanted to use in the film. I said,'This costs a lot of money - give us the money, I'll get the right guys, and then we'll make music that's the same.'" The music was recorded in September 1956 in Hamburg. "We were a fun team and had a lot of fun - and we played good music." The music palette with its jazzy jewels need not shy away from comparison with American models. The East German film factory DEFA produces the film'Spielbankaffäre' with a Swedish co-producer and Martin Böttcher provides the necessary background for the crime play on loan to the Scandinavians. In Berlin and Leipzig the music is recorded with East and West German soloists. On this occasion, he meets Wolfgang Rademann, who then paves the way for Böttcher to enter the German film industry. 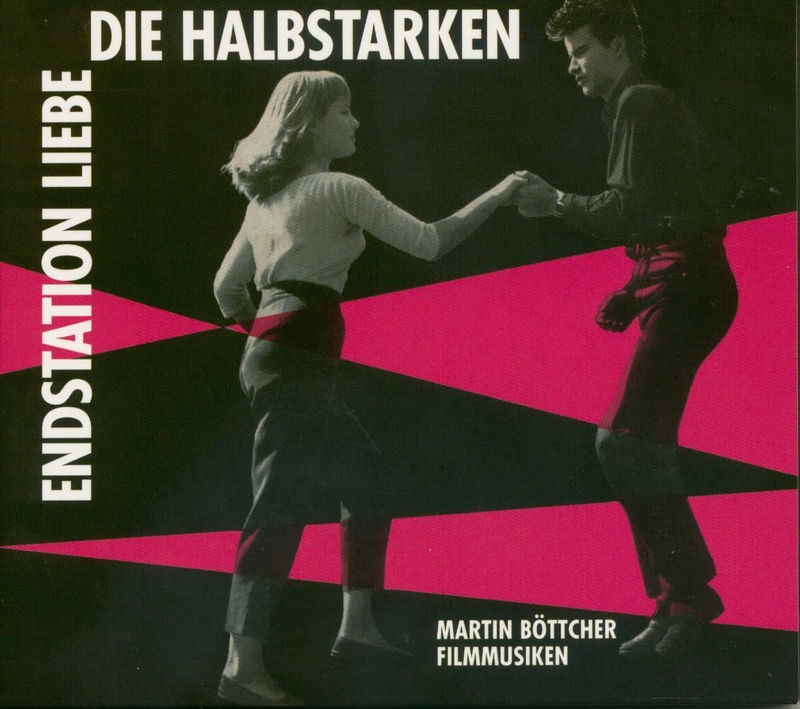 The topic of youth issues is also discussed in'Endstation Liebe' (1958), whereby the music once again reflects the spirit of the times, such as the Bounce Groggy. Hildegard Knef later takes over the main theme and sings Nur ein kurzes Jahr. During these years, further recordings beyond film music were made. One example is the vocal title Merci, Monpti, sung by Romy Schneider. "The Ariola production manager, Horst Fuchs, had the idea for this project. The whole thing was made after the film. (Note: The music for the film'Monpti' is by Bernhard Eichhorn.) The recordings took place on a terribly grey day in Vienna. Romy Schneider was pretty depressed - because of all the'Sissi' hustle. Later I saw her again on Sylt." Martin Böttcher writes three songs for the great Hans Albers: Mein Junge, halten die Füße still, Es egal und Ich komm' mir wie Winnetou (a first encounter with Karl May) for the film'13 kleine Esel und der Sonnenhof' (1958, director: Hans Deppe). "A special experience for me was that Hans Albers was an unheard-of personality that fascinated me enormously, and he was incredibly kind to me. It was like a warm bath to work with him, although he was generally a rather strict person. He was really great." The music is recorded with studio musicians in Hamburg, the vocal recordings with Hans Albers are also made in the Studio Hamburg. 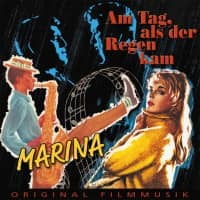 Marina' (1960) is the name of one of the hit films of that time from Artur Brauner's successful forge. The title is already program enough, Martin Böttcher contributes `only' arrangements of well-known hit melodies for this production. From today's perspective, however, the crowd of'singing' actors, ranging from boxer legend Gustav'Bubi' Scholz, Rocco Granata, Hannelore Elsner or Renate Holm to Rex Gildo, is already impressive. 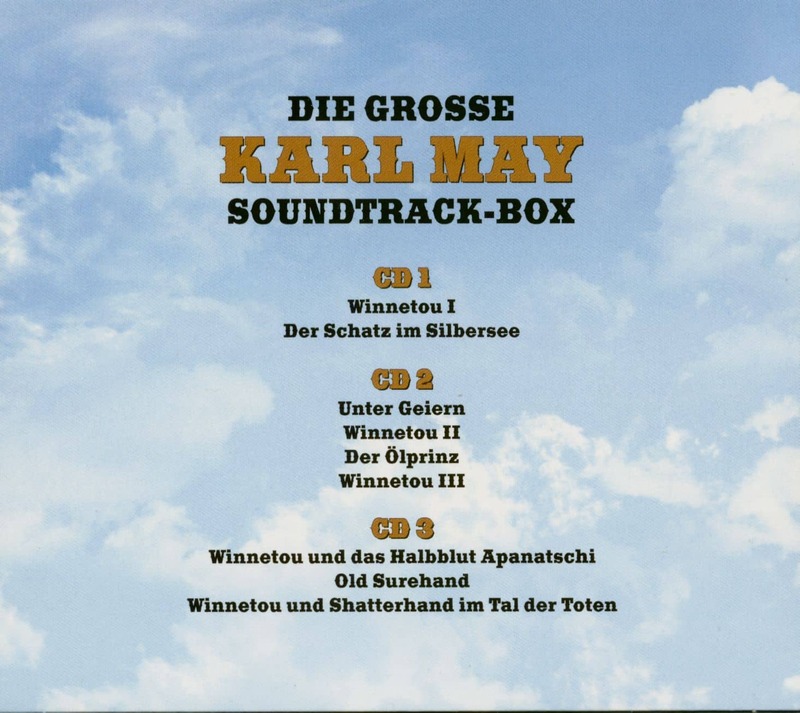 Customer evaluation for "Die große Karl May Soundtrack-Box (3-CD)"